The 2019 Annual General Meeting will be held on Wednesday, the 17th of April at 7pm in the Lounge. Did you take part in the 2019 Club Champs? We had another phenomenal Club Championship this year! Congratulations to all our division champions, and everyone that took part! To read more on the 2019 Club Championships, click here: http://bit.ly/2JIQIbO We had another phenomenal Club Championship this year! Congratulations to all our division champions, and everyone that took part! GolfRSA announced their 2019/20 National Squad last week. Congratulations to both Wilco and Therion, our Bloemfontein Golf Club members! Read more in our latest newsletter: http://bit.ly/2JIQIbO GolfRSA announced their 2019/20 National Squad last week. Congratulations to both Wilco and Therion, our Bloemfontein Golf Club members! Wilco Nienaber, S.A's number 1 golfer, successfully defends the 2019 Newtons Club Championships. 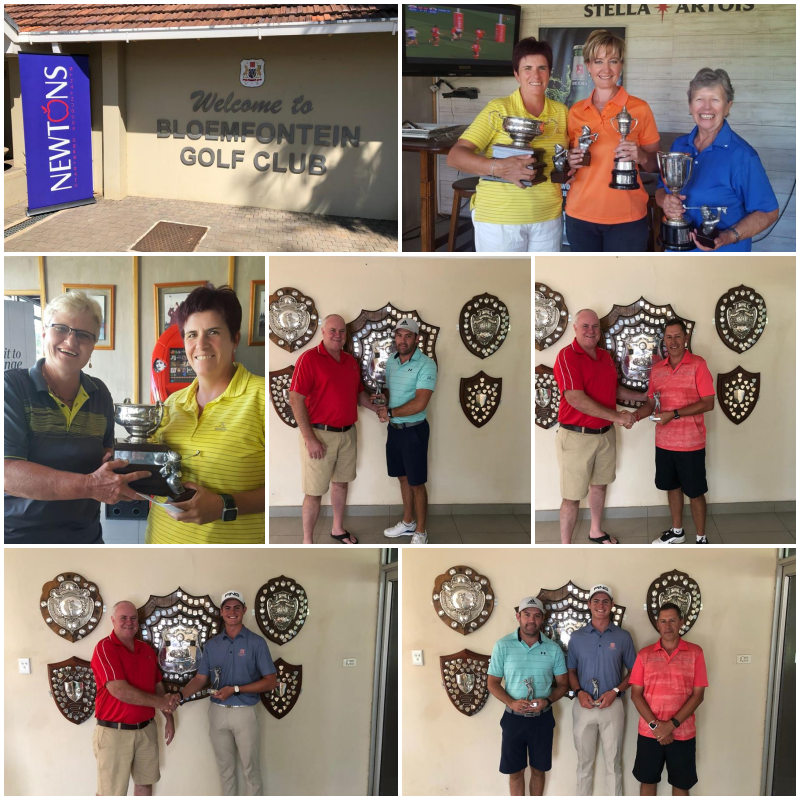 Here are the results from the past weekend: Wilco Nienaber, S.A's number 1 golfer, successfully defends the 2019 Newtons Club Championships. The 2019 Newtons Club Championships takes place on Sat, 16th and Sun, 17th March 2019. For any further information, contact Janke on 051 447 0906 The 2019 Newtons Club Championships takes place on Sat, 16th and Sun, 17th March 2019. The South African flag was raised at the South African Amateur Championship after South Africa’s top ranked Wilco Nienaber won the country’s most coveted amateur title. Read more in our latest newsletter: http://bit.ly/2T6B3rh The South African flag was raised at the South African Amateur Championship after South Africa’s top ranked Wilco Nienaber won the country’s most coveted amateur title. From Bloemfontein to Bultfontein...We will miss you, Ferrari! Marie du Toit (85), alombekende en geliefde golfer, groet Bloemfontein na sewentien jaar as lid by Bloemfontein Golfklub! Read our newsletter here: http://bit.ly/2GWO67h Marie du Toit (85), alombekende en geliefde golfer, groet Bloemfontein na sewentien jaar as lid by Bloemfontein Golfklub! New year, new rules. Are you compliant? Compliments of the season, and a Happy New Year to you all! I hope you are as ready for the new year as we are. Keep an eye out for next week's newsletter where I will update the upcoming events for the beginning of 2019. In the meantime, why not join us this Friday for the Club draw? It is currently standing at R7 200 and the draw is normally done at around 17:30. See you there! Get into golf this festive season! Bloemfontein Golf Club’s Therion Nel won the Harry Oppenheimer Trophy at Maccauvlei GC. He shot rounds of 68-69-69-67 to win by three over PE Golf Club’s Kyle de Beer on 15-under 273. Wilco Nienaber, Jayden Schaper and Yurav Premlall tied for third on 10-under. Herewith the scores for the first day of the 2018 Lindsay Saker Presidents Cup. Come join us at the Bloemfontein Golf Club for our Month End Pub Lunch. And Get a free Hunters Edge. Sponsored by Distell Come join us at the Bloemfontein Golf Club for our Month End Pub Lunch. 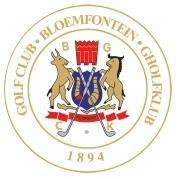 Bloemfontein Golf Club are hosting their annual League Fundraiser Golf Day. This includes your halfway meal. 071 474 7473 Bloemfontein Golf Club are hosting their annual League Fundraiser Golf Day. Today is your chance to get Vincent's Special Avo & Biltong Fillet Steak! And we'll also through in a FREE 500ml Stella Artois Draught! See you at the club for your Friday Lunch !!! Today is your chance to get Vincent's Special Avo & Biltong Fillet Steak! Due to an unexpected software upgrade, you will only be able to open your round via the mobile Handicap Application or at the HNA Terminal located opposite the office. This is a temporary situation we find ourselves in, which will be upgraded shortly. Don't miss out on this Month-End DEAL! See you on 31 August 2018! Don't miss out on this Month-End DEAL! Janke and Vincent are putting together something special! 500G Ribs with Chips & Onion Rings. Please call Janke on 051 / 4470906 or 071 474 7473. RSVP before Thursday 1pm. Janke and Vincent are putting together something special! To start with, Wilco Nienaber has once again out-done himself at the Western Province Championship. Nienaber became the first golfer since Christiaan Bezuidenhout in 2013 to win the Western Province Amateur ‘double’, where he won the WP Stroke play as well as the WP Match Play. That is an amazing feat, and we are so proud of you! Then, GolfRSA has named 19 players to the GolfRSA National Squad for 2018/19, with five new faces joining the band of the best and most promising open amateur and junior golfers in the country. Both Therion Nel and Wilco Nienaber have been selected as part of the GolfRSA National Squad! Congratulations Gents, and enjoy the golf! The Black Mountain Hotel is running a long weekend special for 27 - 30 April. See the poster below for more details. E-mail info@blackmountainhotel.co.za to book. The Black Mountain Hotel is running a long weekend special for 27 - 30 April. See the poster below for more details. E-mail info@blackmountainhotel.co.za to book.